So many travelers come to Nepal for meditation, yoga, astrology, retreats and to merge with the mighty Himalayas. Activities are mainly centered around the Kathmandu Valley, though Pokhara is becoming popular with more options becoming available. The following gives you a guideline of different spiritual activities and natural healing in Nepal. When you come to Nepal you can find lots of advertising for courses, study and activities on the following topics. Yoga = 'Unity', 'Oneness'. Came from the Sanskrit word "YOG" which means "TO JOIN". To many, the thought of yoga has an image of postures (Asanas) to develop flexibility, general body health and awareness. This is just the beginning. While the main point is to reach the highest goal of the spiritual path, practicing yoga can give benefits to everyone regardless to their spiritual aims. The Eight Fold Path of Yoga looks deeply into the morality of living. It consists of: Yama (self restraints), Niyama (self observances) Asana, Pranayama (breath techniques), Pratyhara (withdrawal of the senses), Dharana (concentration), Dhyana (meditation) and Samadhi (identification with pure consciousness). There is an inter-relationship between yoga and meditation and you can decide to focus more on either one or both together. The Himalayas have played a big role in self realization. It's isolation from the world and ideal environment makes Nepal an ideal place to practice yoga. Kathmandu is where you'll find yoga classes most. Notice boards in hotels and restaurants will advertise current courses and activities. 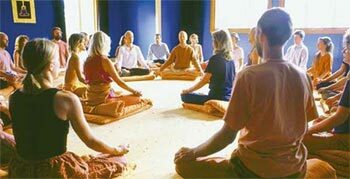 Vipassana is one of the most ancient techniques. Long lost to people, it was rediscovered by Gautam Buddha more than 2500 years ago. Vipassana means 'to see things as they really are'. It is an art of living which frees the individual from all the negativities of mind, such as anger, greed and ignorance. It is a practice which develops positive, creative energy for the betterment of the individual and society. The path (Dhamma) is a universal remedy for universal problems and has nothing to do with any religion. It can be practiced freely by anyone without conflict with race, caste or religion, in any place, and at any time and it will prove beneficial to everyone. Nepal has many places where you can uncover further truths through meditation. Physical therapy is given with the different herbal products, like herbal oils, herbal powder, leaves, herbal pastes, herbal dusts, Moxibustion etc. Yoga and Meditation contains a large meaning with in. It has simple physical exercise to a larger spiritual value of life. Concentration connecting human value to super consciousness. We learn a real art of living performing yoga and meditation. There is flow of life energy in our body. Only the flow of this energy can exist our life. The flow path of energy is called Meridians and each meridians are connected with certain points is called acupoints. Our body system is working in information and communication basis. By injecting needles and pressing the certain points, we can make balance many problems. This is a certain device where we give steam in our body system. Steam may have different herbals or Ayurbedic aromas. Steam bath can activate our internal immunity system and regulates the internal communication and information system in a right manner. This can be given locally or whole body according to the needs. This is “pranayama” -the breathing exercise. There is certain system of breathing exercise and can perform in many ways that can purify all of our nervous system, activate the glands functions and the immunity. we produce people to work in yoga therapy.This is training session of one month. This production can work as an assistant in the yoga therapy. This is three month training session. 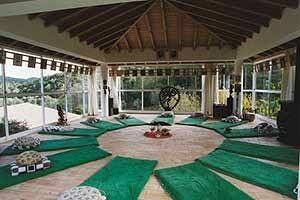 Those who learn this course can be the training instructor of yoga therapy. This is six month training session. The people produced from here can be the assistant in the therapeutic massage. 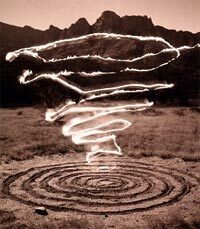 Natural force or energy that is received from the universe & discharge to one's body by the healer. This vital fource or energy opening and cleaning all the blockage and toxins of the body receiver.